British Airways’ parent company plans to launch new low-cost transatlantic service from Barcelona to the U.S. in 2017.
International Airlines Group — which owns British Airways, Iberia, Aer Lingus, and the low-cost Spanish airline Vueling – is considering adding a new subsidiary in 2017 that will offer cheap fares to and from the U.S. West Coast in response to low-fare competition from Norwegian, according to The Times of London. The newspaper said IAG’s new operation is expected to use Airbus A330s to fly from Barcelona’s El Prat Airport to San Francisco and Los Angeles beginning in June 2017. The new venture is also targeting transatlantic flights from Barcelona to Buenos Aires, Argentina; Santiago, Chile; and Havana, Cuba, the report said. Tickets are not expected to go on sale until February or March 2017, and no fare information is currently available according to CAPA. Vueling, IAG’s low-cost Spanish subsidiary that serves short-haul markets, will provide passenger feed into Barcelona for the transatlantic flights. There were no details yet on specific schedules or fares for the West Coast service. IAG suggested that it might operate the new service under one of its existing brands if it does not create a new subsidiary. 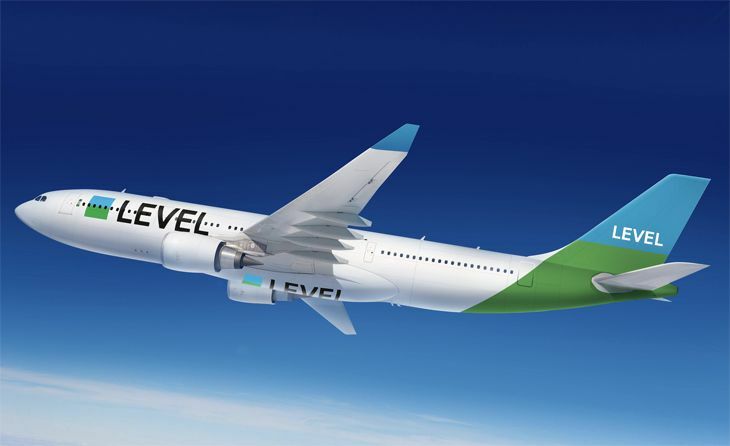 Europe’s legacy airlines have recently been stirred to action on the low-cost front as Norwegian adds more long-haul routes at extremely low base fares. Norwegian in recent months has started or announced new and increased low-fare service from major U.S. airports to London Gatwick, Paris and Barcelona, especially from the West Coast. Lufthansa is concentrating on growing its low-cost Eurowings subsidiary, adding aircraft from Airberlin and Brussels Airlines for that purpose. Air France KLM recently revealed plans to develop a low-cost long-haul operation tentatively called Boost, based at Paris Charles de Gaulle, although few details are available. And in addition to IAG’s new Barcelona-based operation, British Airways is adding service to Oakland and Ft. Lauderdale in 2017 from London Gatwick instead of its Heathrow hub, in response to Norwegian’s increasing Gatwick service. BA is said to be planning eventually to use higher-capacity 777s with 332 seats instead of 280 for its long-haul Gatwick operations, in order to make them cost-competitive with Norwegian. 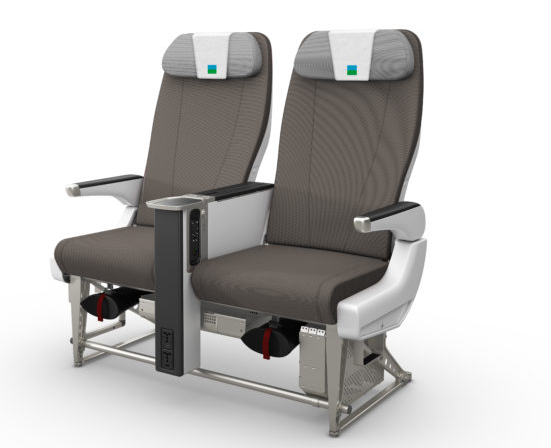 International carrier news briefs include a new transpacific partnership for Alaska Airlines, a look at American’s new long-haul business class seating, a Wi-Fi decision by British Airways and its siblings, and a move by Lufthansa to fund travel-related start-ups in Silicon Valley. Starting this summer, members of Alaska Airlines’ Mileage Plan will be able to earn miles on Japan Airlines, thanks to a new partnership between the two carriers. 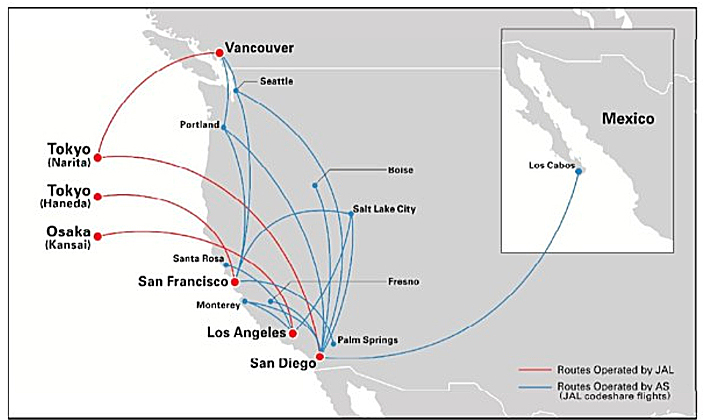 The code-sharing and frequent flyer cooperation pact will mean seamless connections for travelers between Alaska’s flights and JAL’s transpacific services to Tokyo from San Francisco, Los Angeles, San Diego and Vancouver, as well as JAL’s LAX-Osaka service. While mileage-earning on JAL will begin this summer for Mileage Plan members, award travel redemptions on the Japanese carrier “will begin later in 2016,” Alaska said. Strategically, the tie-up with JAL is a logical step for Alaska; its merger partner Virgin America already has an interline partnership with JAL for connections at SFO and LAX, and Alaska recently started a big expansion of code-sharing with American Airlines, which has joint venture and Oneworld global alliance partnerships with the Japanese carrier. American Airlines will turn to a next-generation “Super Diamond” business class seating configuration for its next-generation long-haul international aircraft, according to a report in Forbes. 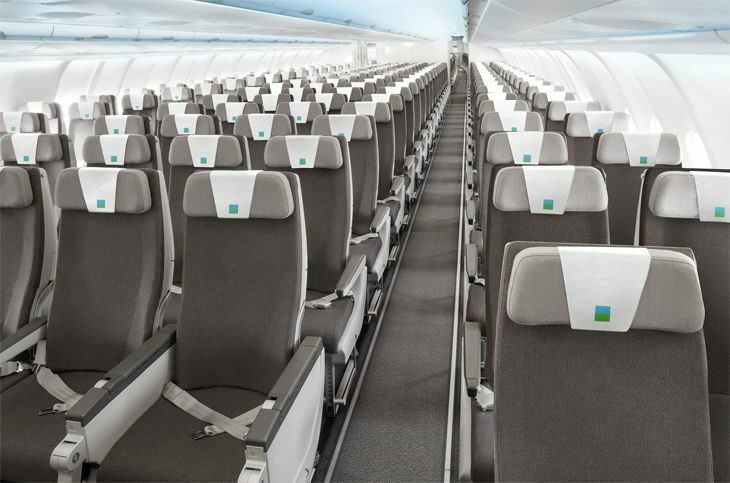 The new seats will all recline fully flat, will be enclosed in a kind of personal shell, and will offer aisle access from every seat. They’ll go into the new 787 Dreamliners and Airbus A350s that will be coming to American in the next few years, and will also be retrofitted onto some 777-200s. 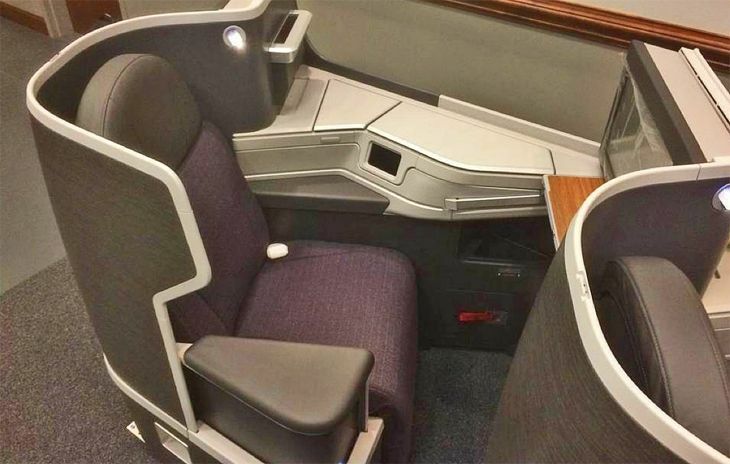 American recently broke off its ties to French-based seat manufacturer Zodiac and is turning to B/E Aerospace for the new business class seats. 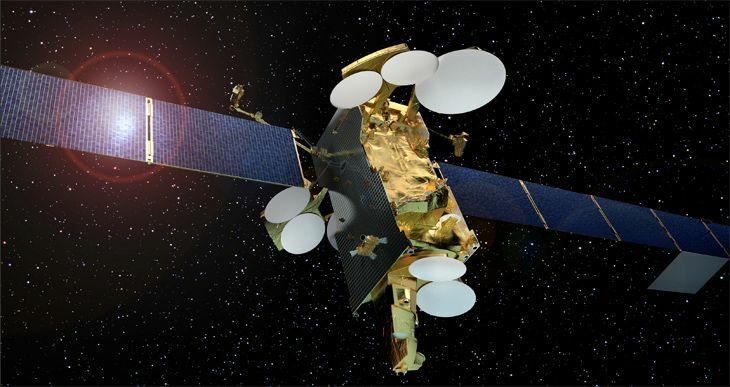 International Airlines Group, (IAG), the parent of British Airways, Iberia and Aer Lingus, has signed a deal with Wi-Fi vendor Gogo for installation of that firm’s next-generation 2Ku satellite-based Wi-Fi technology. Passengers should start to see the technology appearing on aircraft next year, and by 2019, IAG said, it should be on 90 percent of the airlines’ long-haul fleets. “In addition to providing faster access to web-based services, passengers will enjoy more entertainment options throughout their entire journey. 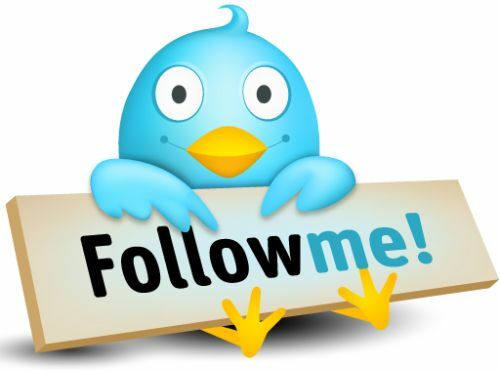 In the future, inflight Wi-Fi will also transform the duty free experience, allowing travelers to order from their phones and tablets and arrange for items purchased on board to be delivered to their homes,” the company said. It will be installed in BA’s 747s, 777s, 787s and A380s as well as Iberia A330s and A340s and some Aer Lingus 757s. Earlier this year, JetBlue announced the formation of a subsidiary that will invest in travel-related technology start-ups in Silicon Valley – and now Lufthansa is doing the same. The airline said its Lufthansa Innovation Hub unit will team up with Plus and Play, a venture capital group in Silicon Valley. “The objective is to identify and promote innovative technologies and digital business ideas along the entire travel chain,” Lufthansa said. “Over the course of a twelve-week mentoring program, 20 to 30 selected start-ups will receive support for the further development of their business models. They will also make contact with companies in order to talk about partnerships and joint projects as well as investment.” The airline is backing up its interest in Silicon Valley with new San Jose-Frankfurt non-stops due to start July 1.